Payrollguru provides payroll and accounting services to small and medium sized businesses. 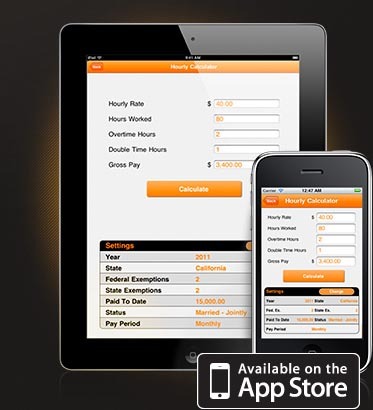 Download Payroll Guru app, Paycheck Calc or Paycheck Free on your mobile device. 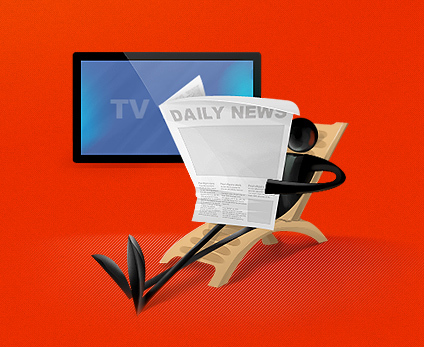 Calculate your paycheck in any of 50 states and US territories with online paycheck calculator. PayrollGuru is a premier payroll service provider that offers complete range of payroll processing services to our clents in all 50 states and US territories. Whether you process payroll in-house or outsource payroll processing to other companies we can provide you with the most efficient payroll solution for this important business task. We have friendly payroll staff and we utilize software capable of performing any payroll task. depending on your current situation. You will be satisfied with our services, or your money back guaranteed! Our fully qualified and experienced accountants will help you process payroll for your employees in matter of hours. By using our services you can improve your typical payroll process and cut expenses associated with the large payroll providers. Please enter complete information so we can email you the quote promptly. If you need additional accounting services please describe what you need in the Notes section. Using our latest technology and tools, you can do your payroll online or on the go, with the help of our mobile payroll apps to get your job done. And if you need to talk to us - our help we will be there for you. stay current with the changes in payroll regulations with Payrollguru, Inc. Requirements: Compatible with iPhone X and iPad. Payrollguru utilizes fast and accurate Payrollguru Tax Engine (PTE) developed for speed and accuracy of payroll calcula- tions. Each paycheck calculation is very specific to location (state), filing (marital) status, payroll period and number of payroll deductions (federal and state allowances) that an employee might receive. Some federal taxes (i.e. Medicare and Social Security) also have a taxable amount limit that will affect the paycheck deductions. All of these details and intricacies are incorporated into a sophisticated Payrollguru's Tax Engine to provide accurate payroll calculations. Washington, Alaska, Nevada, New Hampshire, South Dakota, Tennessee, Wyoming, Georgia, Virginia, Louisiana, Oregon, Pennsylvania, North Carolina, Ohio, New Jersey, New Mexico, Minnesota, Mississippi, Oklahoma, Delaware, Arkansas, Wisconsin, Colorado, Kansas, Michigan, South Carolina, Indiana, District of Columbia, Arizona, Idaho, Iowa, Missouri, Alabama, Massachusetts, Maryland, Kentucky, Nebraska, Utah, Connecticut, West Virginia, Maine, North Dakota, Rhode Island, Montana, Hawaii, Vermont. Payrollguru's Tax Engine is constantly updated with the current state and federal tax information, so you don't have to worry about the changes in state and federal tax rates. 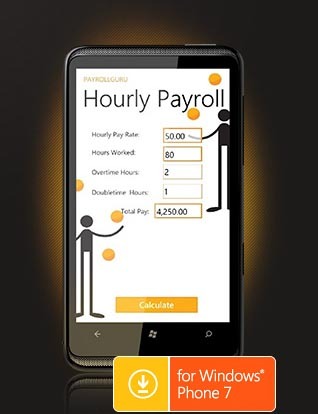 Payrollguru's apps are updated for 2019 payroll tax calculations. Payrollguru, Inc. was founded in 2006 with the idea of providing better payroll services using advanced technology. The modern technology allows cutting costs associated with payroll outsourcing and providing better customer experience. Since company inception we diligently worked on improving our processes and software to enable smooth interaction between us and our clients. Eventually we grew to become a mobile payroll provider as well. 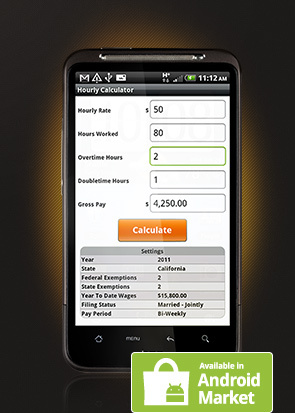 Mobile payroll allows our small business owners to calculate paychecks and payroll taxes on a go from their smartphones. We strive to provide our clients with the best experience and consistent results every day! Payrollguru is a registered trademark of Payrollguru, Inc.
Our payroll specialists are working with the companies to provide better payroll experience and up-to-date payroll advice. Our dedicated team of software development professionals keeps Payrollguru applications updated to conform to current payroll taxes and requirements.